High fliers in London's Docklands will find getting from their offices to the beach a lot easier this summer. British Airways is growing its route network at London City Airport (LCY) with two new routes to southern Europe on June 7 and is beefing up its schedule at the airport. The airline is launching services from the Docklands airport to Málaga’s Pablo Ruiz Picasso Airport (AGP) in Spain and to Faro Airport (FAO) in Portugal. Flights to Málaga will operate four times a week and flights to Faro three times a week. 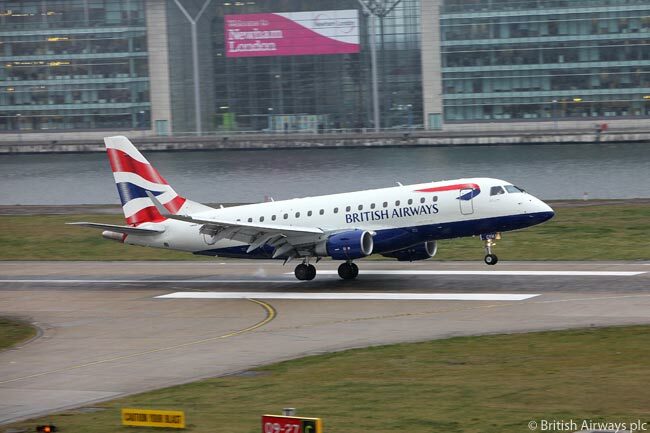 All the new flights will be operated by BA CityFlyer, a wholly owned subsidiary of British Airways. BA CityFlyer will resume summer services to Palma and Ibiza at the end of March. Altogether, the airline will be offering 40 per cent more seats from London City Airport next summer than it did in the same period this year and will be operating 400 flights a week from the airport.